James Bridle’s book ‘New Dark Age: Technology and the End of Tomorrow’ (2018), is an unsettling account of how current technologies have fed new forms of hidden bio-political power. Bridle seems to suggest that our precarious contemporary condition within the ‘digital sublime’ is one of speculation and post-truth politics which has led to widespread public disillusionment. 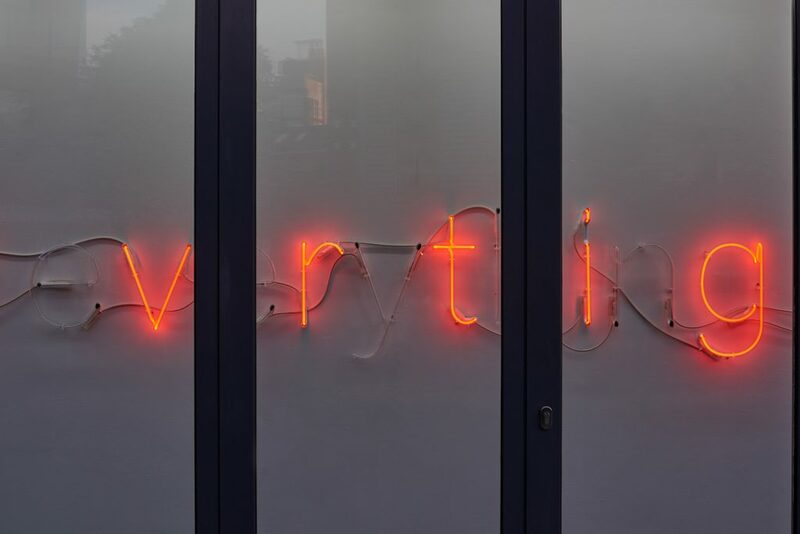 With a line taken from this book, Tim Etchells solo show ‘For Everything’ at Vitrine London aestheticizes the concealed agendas of technology. 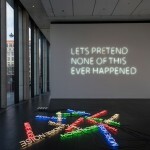 In white neon, across the length of the gallery, reads ‘For everything that is shown something is hidden’. Every other letter in the sentence, however, is turned off making the sentence from a distance, seem arbitrary. It is only on closer inspection that you can make out the complete text. What seems to be an obvious imitation of the texts words, the hidden feature of letters seems to gesture towards how our relationship to language has changed, or how it needs to change in order to resist and overcome these hidden issues. Bridle mentions that those in power simplify narratives into binary categories such as good and evil, left and right, etc. and Etchells has visually replicated this. 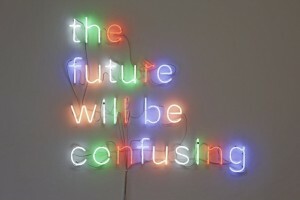 A possible warning that there is always more than meets the eye, however obvious that may be. On the right-hand side of the gallery adjacent to the text are a series of framed photographs titled ‘From Behind’. 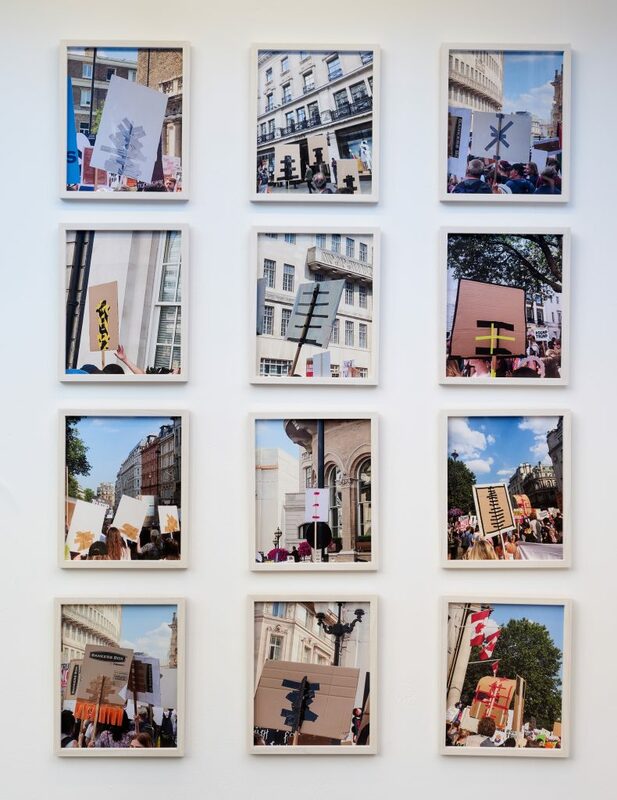 The photographs, taken from a recent protest in reaction to US president Donald Trump’s visit to the UK in 2018, are of the reverse sides of signs and placards held by protesters. Again, the hidden features of text are presented as mundane fact; they exist and have agency similar to the words on the front of the sign. Those who are familiar with Etchells practice will know that his simple but clear deconstructions of political issues aren’t new. His performative gestures of reading, speaking and being present at the protest, aren’t passive forms of resistance but loud multitudes of the silenced and overlooked. 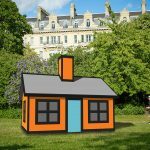 Etchells has had an exciting 2018 having exhibited his text piece ‘Everything is Lost’ at Frieze Sculpture. His work continues to expand on the mechanisms of communication through a revaluation of its values by presenting an optimistic counterpoint to the nodality of networks. 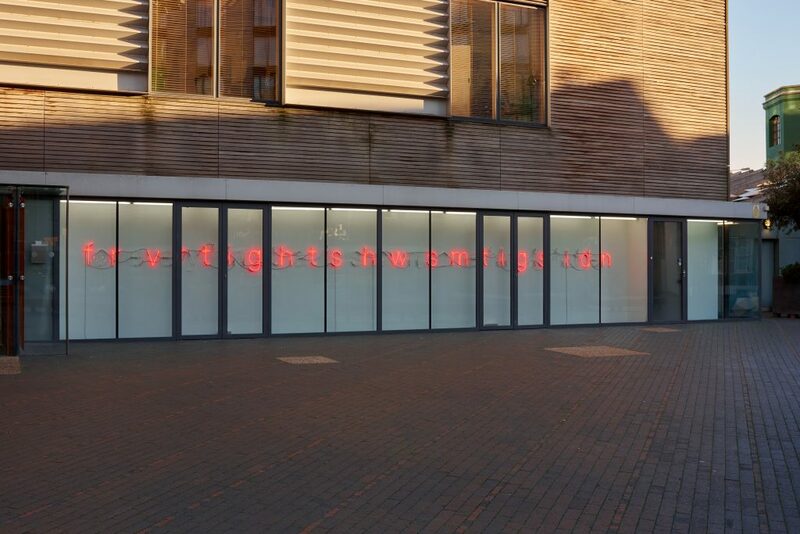 This entry was posted in NEWS and tagged Tim Etchells, VITRINE London. Bookmark the permalink. 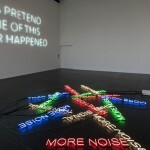 Tim Etchells the busiest artist around?